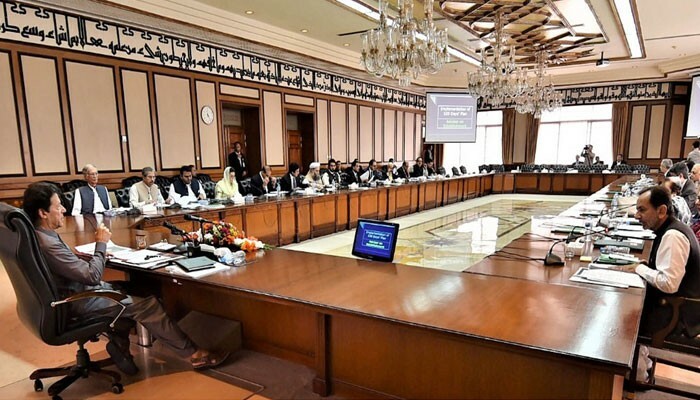 The Pakistan Tehreek-e-Insaf (PTI) government has decided to review the federal budget presented by the Muslim League (N) under which the tax exemption case will be amended in the previous government. Sources say that the PML-N’s government gave annual revenue to income tax tax of Rs 12 lakh. But now the federal government will reduce this limit up to 8 million. The new federal budget will be charged 400 billion rupees new taxes. Development costs will be deducted. Electricity is also more expensive. According to the sources, the government will provide suggestions on the finance bill to increase tax revenue a percentage of regulatory duty will be proposed on all imported goods which the government is likely to earn foresee income. Sources say that the government’s duty is to increase duties and taxes while PSDP (Development Fund) plans to reduce 400 billion rupees. The new budget suggestions will be presented today in the federal cabinet meeting, after approval, budget suggestions will be presented in Parliament. According to sources, new goals will be set by revising the budget and economic targets presented by the previous government. Economic growth rate target is expected to be 5.5 percent to 5.5 percent. The Federal Development Program of 1030 billion rupees can be reduced by Rs 400 billion and it can be brought up to Rs 650 billion. However, there is no proposal for deficit of Rs 1100 defense budget. 450 unauthorized development schemes are also likely to be terminated which were included in PSDP (Development Fund). Most of these schemes are NHA (National Highways). Finance Minister Asad Omar said on Tuesday that the amendment in the Finance Act, 2018. According to the sources, tax incentives will be refunded in the Finance Act 2018, while unauthorized assets will be brought to the tax net. It is also possible to increase the tax rate on other products including Cigarette. There is a proposal to increase regulatory duty on more than 5000 imported goods (tariff lines). Funds and budget deficit targets will be set for new budget targets as the deficit and budget deficit has gone far ahead of the targets for the current financial year. GDP, inflation goals will also be set up by revising new goals. Similarly, the FBR Revenue target will be converted to reality. Budget deficit target is expected to increase 5.5 percent to 5.5 percent. According to sources of trade, export package can also be offered to increase exports while imported goods are likely to be deployed for regulatory duty and additional duty to reduce imports.